Leandra here again, and tonight I'd like to welcome back Ellen Vargo with some new stamp additions to her hand-carved series. Ellen's 'scratchy' stamps have proved very popular. 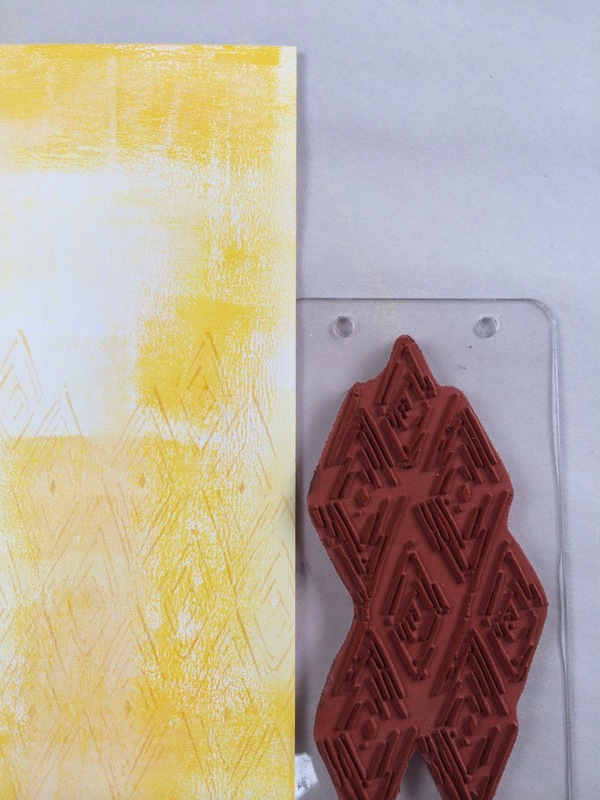 Hand carving is usually associated with chunky designs but these super fine detail stamps are proving a real hit. I personally love using them to build up backgrounds stamping these images with pale frescos on top of dark frescos on anything from tissue to heavy weight cardstock. 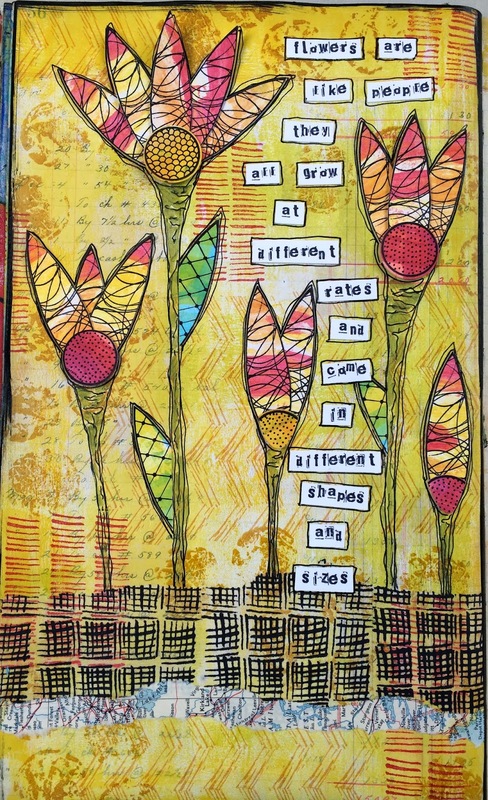 Ellen has her own set of ideas in the gorgeous bright colour palette that she loves to work with. Check them out below. I started with a background painted with my trusty brayer - I used snowflake, cheesecake, and yellow submarine. 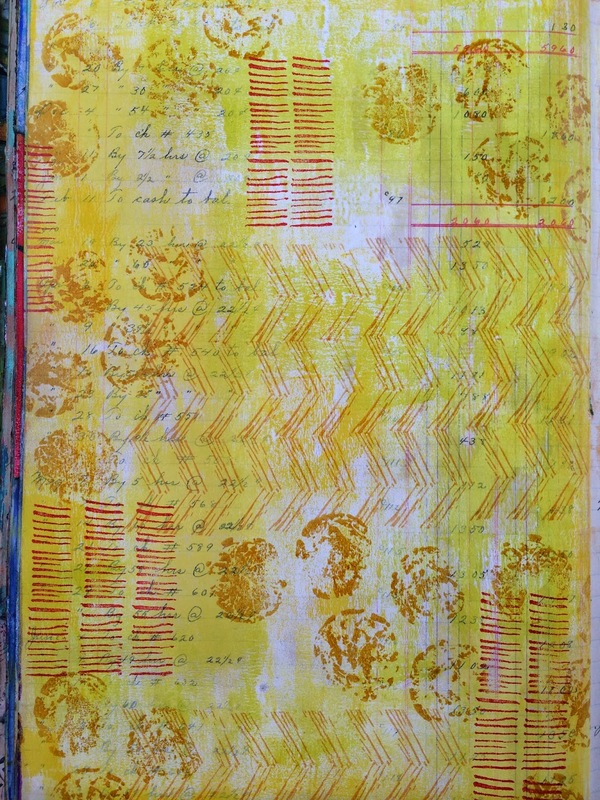 I stamped the scratchy diamonds across the bottom of the painted paper using pale ochre archival ink. On the bottom section, the stamp is oriented with one point at the top and two points at the bottom. Then, for the top section, I turned the stamp upside down... so there are two points at the top and one point at the bottom. 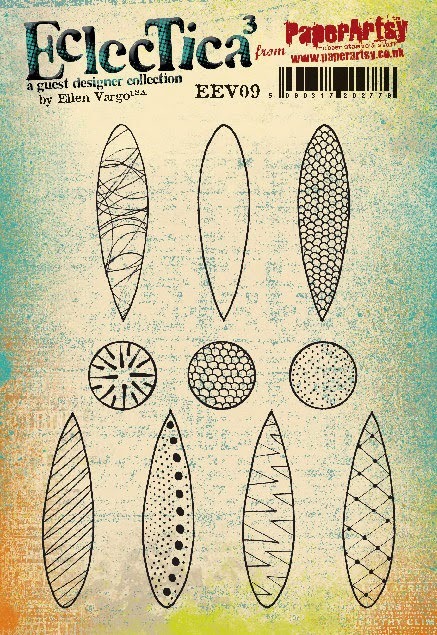 Just line up the one point between the stamping from the bottom section and the pattern repeats perfectly! I just *love* repeating patterns... I'm totally addicted. 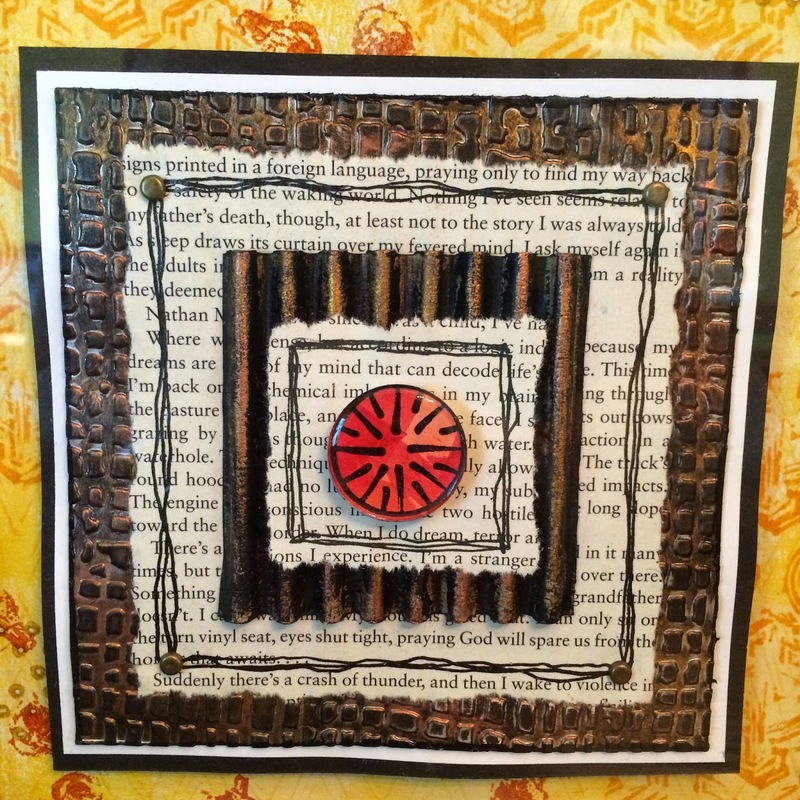 Then, of course, I added loads more stamping and layers, including some textured metal card and some treasure gold, and added one lone focal point... a simple circle, but we'll get to that in a minute... here is a close up of the focal piece. As you probably know, those scratchy shapes from EEV02 have become my "go-to" background - again playing on my love for repeating patterns, so I really wanted to design some new shapes. On this new set, EEV08, there are some mini shapes and new shapes that match EEV01, and some just for fun. Current absolute *favourite* is a tie between the scratchy chevron and the scratchy gothic-arch shape (I'm sure it has a proper name, but I don't know what it is... it looks like a pattern you would see in a stained glass window). 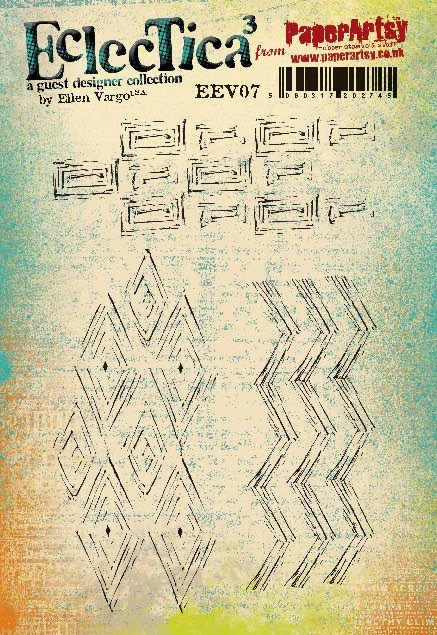 Here's a background that I made for an art journal page (more later) using the scratchy chevron. Because we're working with a single chevron, you can create the pattern in any location you want, or in multiple locations! You'll see more of this in a minute...hang in there! Up until now, all of my stamp releases have been focused on images that are awesome for textures and backgrounds, or borders... so I wanted to create a stamp set that would begin to give some options for focal images... namely, FLOWERS! Who doesn't love a beautiful flower, right? 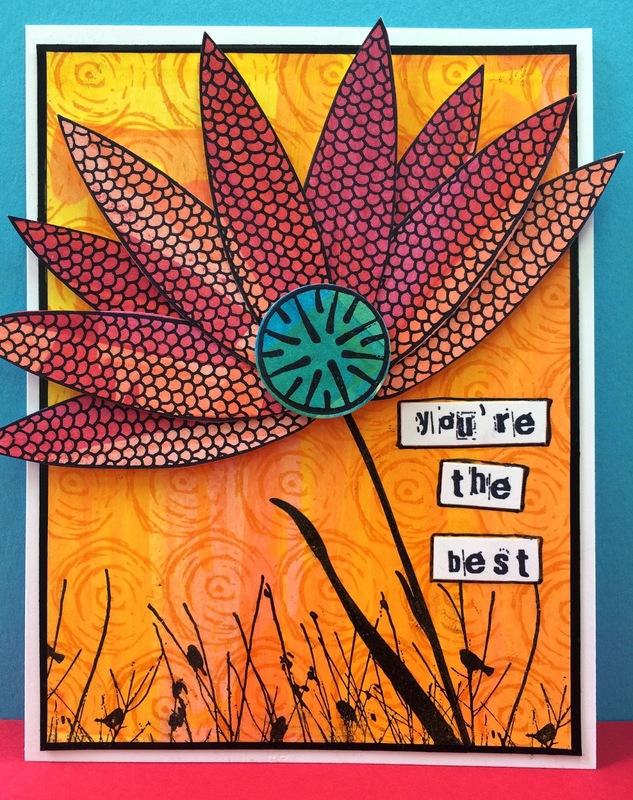 With this set, EEV09, you have lots of options on pattern, the flower centers, rounded petals or pointy petals, or you can even stamp over a different texture/pattern with that outline petal stamp! Let's continue on with that art journal page shown above.... after my background was done, I stamped the scribble petal onto some painted papers, left overs from brayering and scraping paint, cut them out, and then arranged them into different shaped flowers. I drew the flower stems by hand, added some collage tissue paper across the base, and stamped out a sentiment with a mini alpha stamp set. Here's a closer shot at some of the flowers. Notice on the smaller flowers I trimmed the flower center to match the size of the petals. 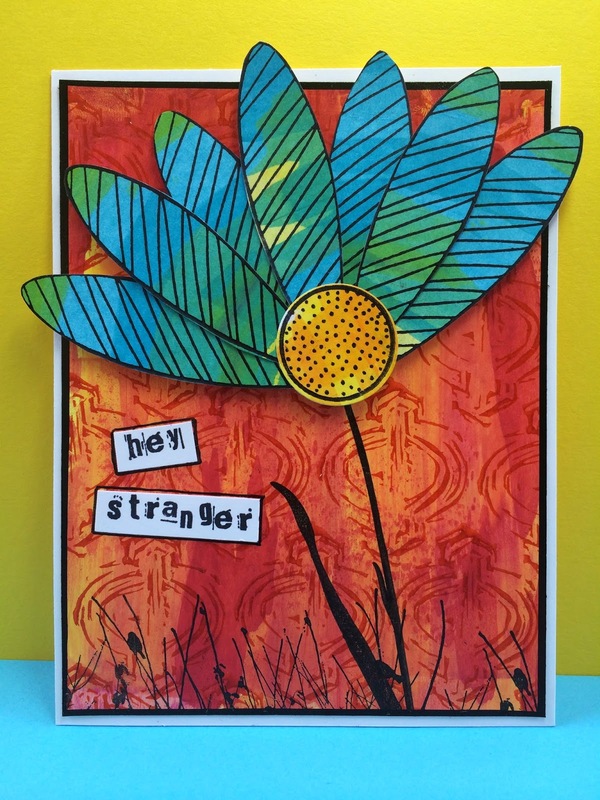 Below is a card set I made using stamps from all three plates... scratchy backgrounds, scratchy shapes, and petals/pods/circles... all of the backgrounds were done by scraping fresco paint onto Smoothy Heavyweight card with an old gift card. Here are some closer pix of the individual cards. The first one shows the pattern you get with that scratchy gothic shape for a background, and a 7-petal rounded flower. This one shows the mini scratchy rectangle in the background, with a 5-petal rounded flower. And the third one shows the mini scratchy circle in the background, with a 9-petal pointy flower! 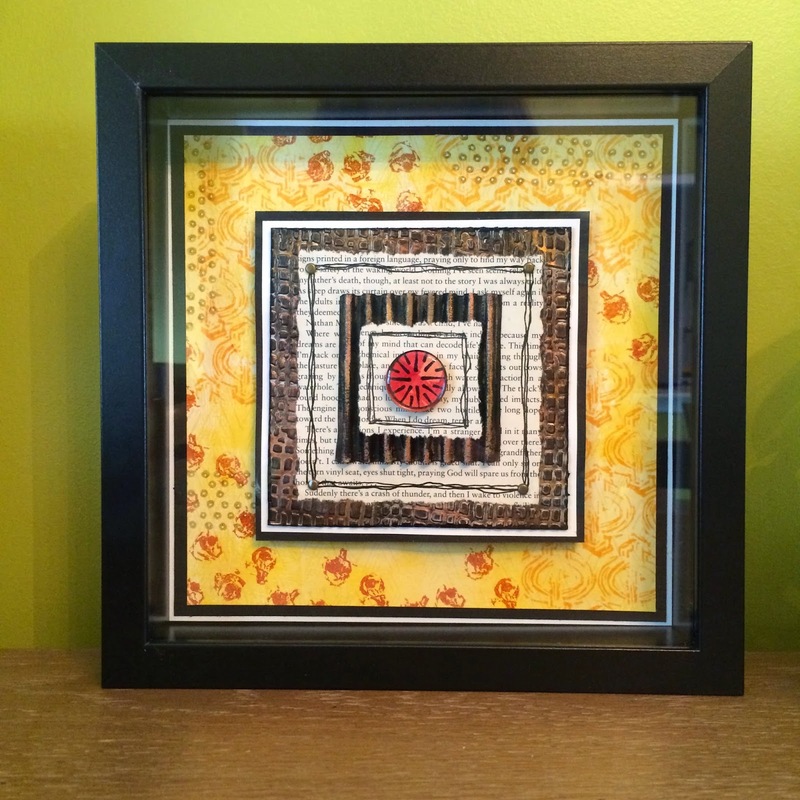 And... one more thing... remember that framed abstract piece from the top of the post? 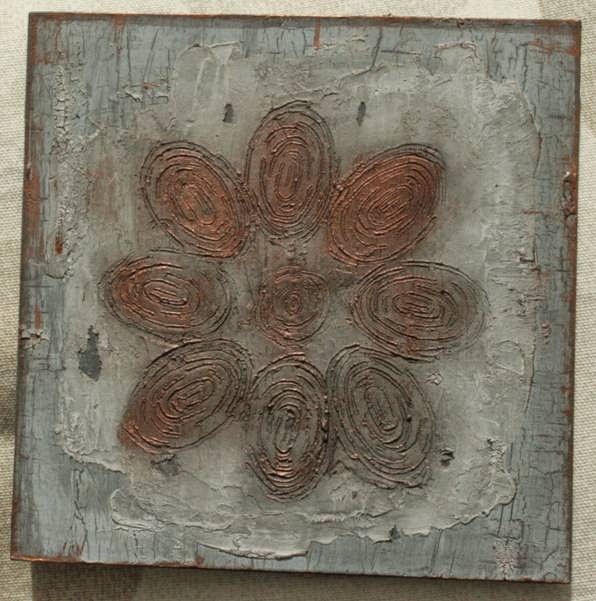 The focal image on that piece is one of the flower centers from EEV09. Such a simple statement, but with that POP of red it becomes the focus of the piece. I added a dimensional resin sticker to the top of the punched circle for some interest. 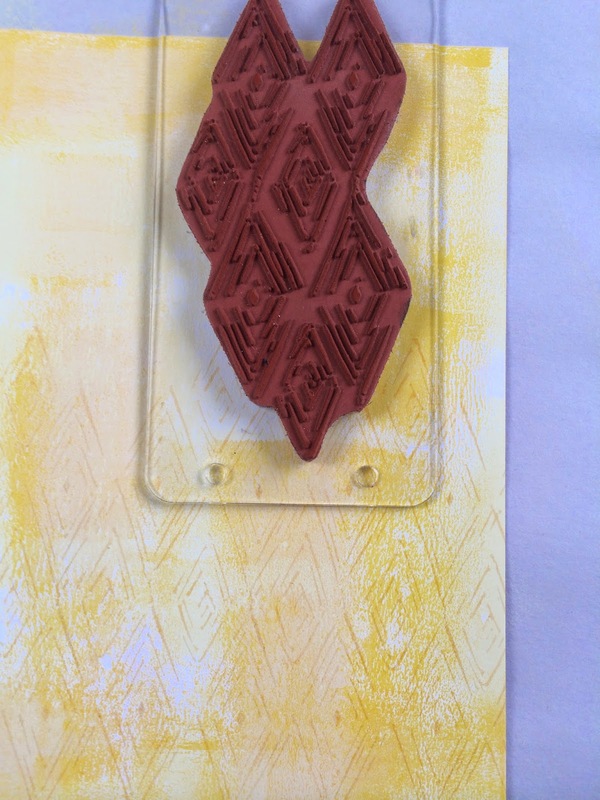 I hope you like the new stamps and have seen some interesting ways to use them in your projects. I have found myself falling back in love with making cards, which is how my journey started. Funny how things come full-circle. I'll be sharing more projects here on the PA blog in the coming months, as well as on my own blog. Hope to see you soon! Wow it never ceases to amaze me how bright Ellen's choice of colours are, and they look just wonderful! Congrats on such great stamps Ellen! To support Ellen tonight we have some more gorgeous items from Jo Myhill. Jo generally uses a totally contrasting colour palette to Ellen; she loves subdued muted browns, and it's great to see such contrasting colour schemes with the same stamps! I used Chatsworth paper and Cheesecake and Vanilla Fresco paint to create a background. 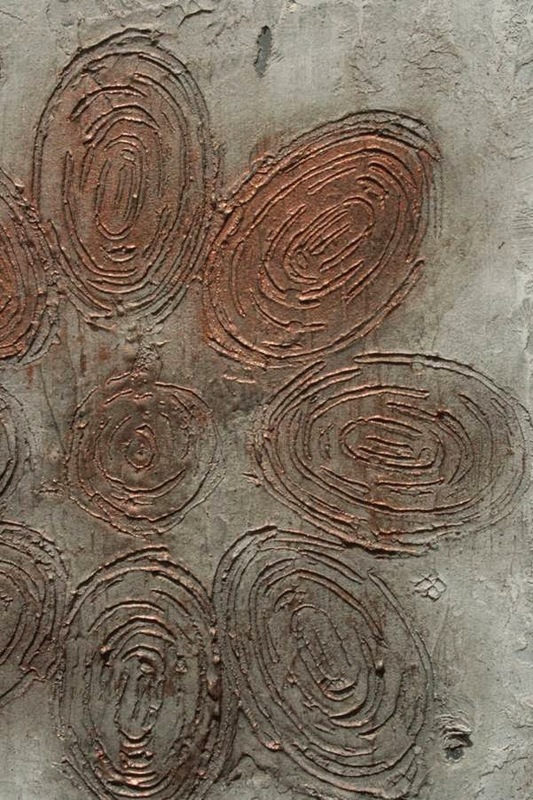 I stamped the petals and circles from EEV09 in Tree Branch Archival ink. I cut them out and glued six petals per circle together. 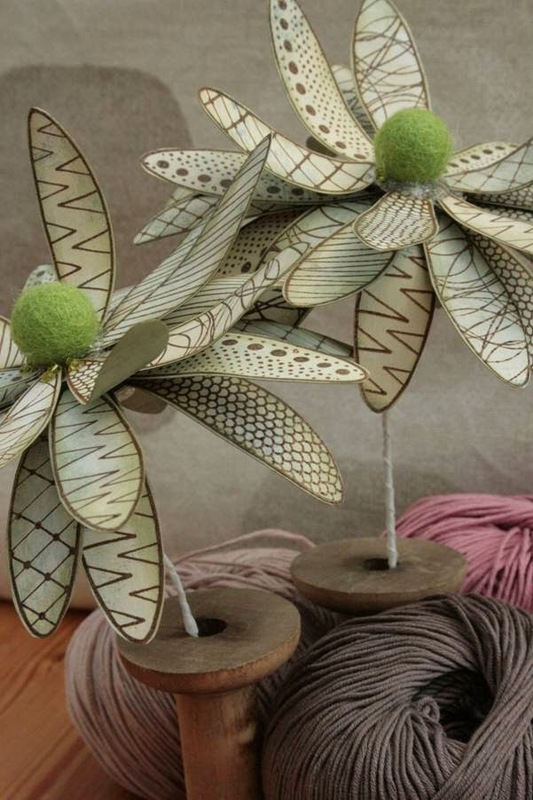 Then I layered up the circles and added a felt ball for the centre and ribbon covered wire for the stalk. Gently curled the petals to create the most gorgeous flowers! I covered a square of white paper chipboard in Slate Fresco paint (JOFY limited Edition Paint set 2) and added a layer of Crackle Glaze. Over the top of this I used a mixture of elephant and Snowflake to give subtle cracks. Mixed the remainder of the Elephant with Grunge Paste, smoothed a layer on the middle and gently stamped the circle and oval 'scratchy' stamps to create a textured flower design in the paste. When this was dry I highlighted the stamping with Slate Fresco and Spanish Topaz Treasure Gold. I covered a sheet of Chatsworth card in Cheesecake and Vanilla Fresco paint. I spritzed a mixture of Snowflake and Metallic Glaze to give a soft shimmer. 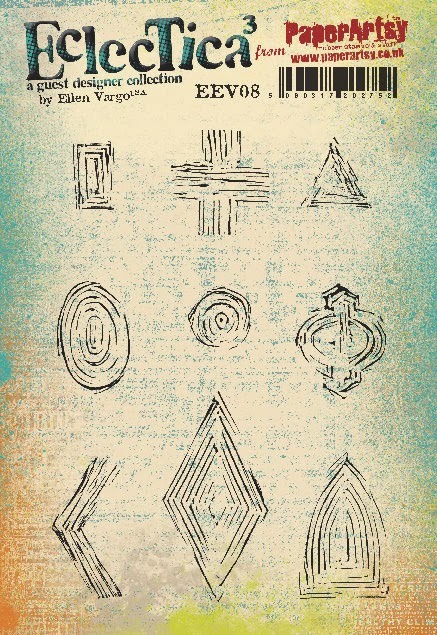 I stamped the arch scratchy stamp in Honeydew paint and then the cross in Pebble and the oblong in Oregano Adirondack ink. I cut the card into 12" x 4” strips and stuck them together to create pages. 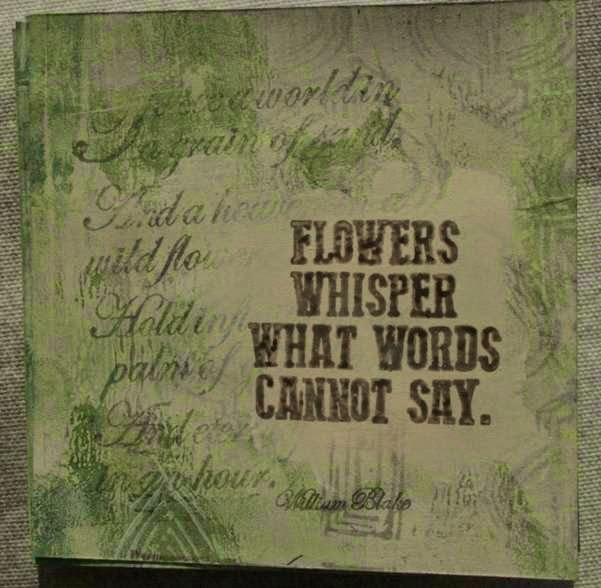 Using a mixture of distressed photos and image transfers using Satin glaze I generated this photo album for a series of black and white flower images. Fantastic ideas ladies! Ellen's new stamps are perfect for backgrounds, but both of you have also made some amazing focal points with them too. All these stamps are available now from your favourite PaperArtsy stockist, wherever in the world you might be! I wonder what new delights we have in store for you tomorrow? Everyday is so exciting! See you then! I concur... those stamps are perfect for backgrounds. Amazing makes from Ellen and Jo. What a heavenly post tonight. Just sometimes a post just sets my mind whirring and I get flooded with ideas. Right now the ideas are pinging about in my head like a pinball machine. 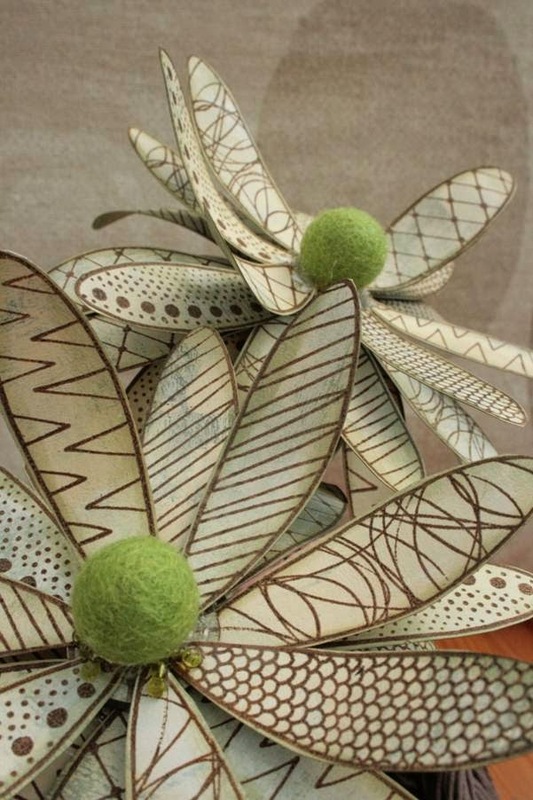 The potential for the petals and centres is huge and Jo's idea with Chatsworth papers is ideal for the fantastic weight of the paper. I need the petal stamps yesterday! Oh my gosh, such amazing projects from Ellen & Jo. And SO different too. I love all of them. 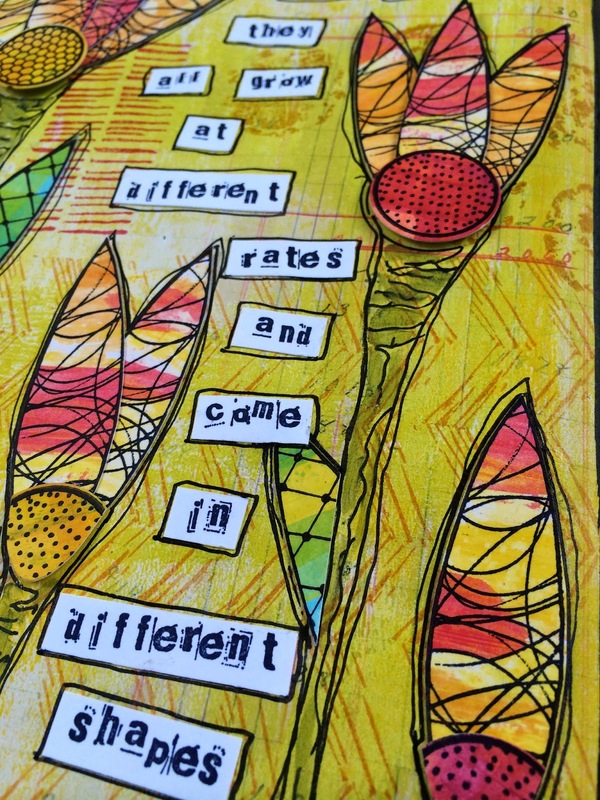 Love these new stamps Ellen, & fabulous projects to inspire us! 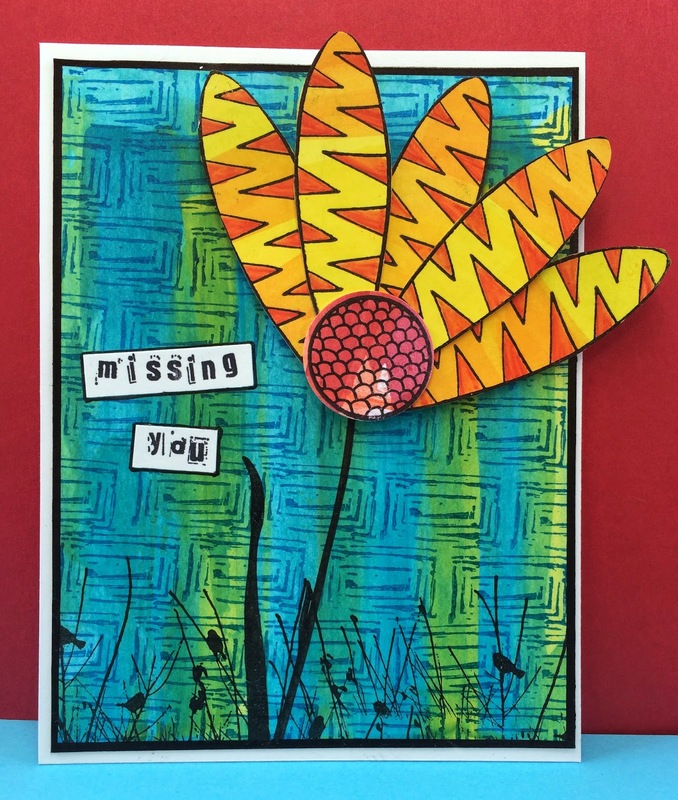 Wonderful creations from Ellen and Jo showing us gorgeous examples of how Ellen's stamps work! I love Jo's 3D flowers! Congratulations Ellen. I've just come from your sneak peaks and your new designs are fabulous!